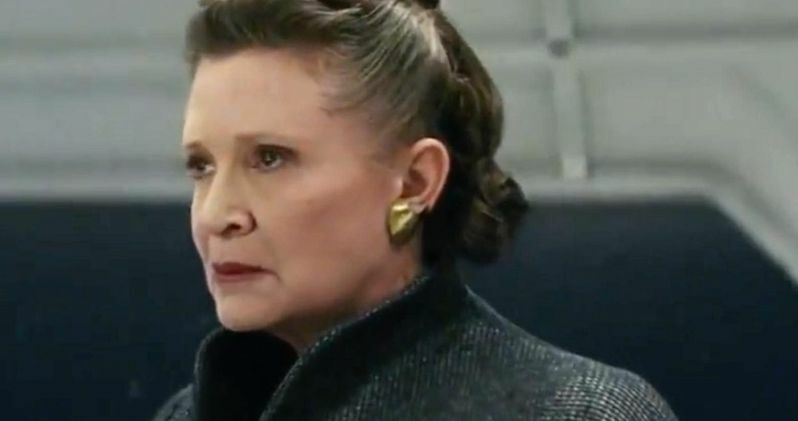 Many Star Wars fans were shocked to see the iconic character General Leia make it out of Star Wars: The Last Jedi alive, leaving many people wondering how they will address the death of actress Carrie Fisher next year in Star Wars 9. Finally, the Poe Dameron comic series have begun to address Leia's grim future in the series, possibly revealing how Leia will be written off before the ninth installment in the Star Wars saga. The Poe Dameron comic book series has gone in-depth with the titular Resistance leader Poe. The comics started by showing Poe's origins and upbringing before the events of Star Wars: The Force Awakens. Now, in its 27th issue, the comics have finally caught up with the events of the movies, and now show what our heroes are up to after the events of Star Wars: The Last Jedi. In this 27th issue, Princess Leia's fate has finally been touched on. The comic started right after the events of The Last Jedi, and it does not look like General Leia is doing the best. In one of the movie's most despised moments, Leia was thrown into space, but brought herself back onto her ship using the Force. However, it looks like this miraculous moment for Leia does not go without its consequences, with Leia stating in the comic that she is still not fully recovered. As the comic continues, she is clearly not up to her normal health, having to lean on every doorway and wall she walks past. She eventually tells Poe that she needs to talk with him about something important, leading to one of the most heartbreaking moments in the comic series. When Poe and Leia finally did get the chance to chat, Leia revealed to Poe what she saw for the future of the Resistance, along with what she saw for her own future. Here is what she had to say. "The truth is, I can't let all of this rest on my shoulders forever. I honestly don't know how long we'll have to, well, resist. The rebellion went on for decades. And, I'm sorry to say, probably sooner than we'd like.... I'll be luminous." While she didn't outright say it, Leia is essentially revealing to Poe that the Resistance will need to keep resisting without her, probably sooner rather than later. It's a sad moment from the comics that Star Wars fans never wanted to see, but knew was coming nonetheless. Leia may keep fighting until her last breath, but this line can also be interpreted as Leia's announcement of retirement, with her wishing to spend her final years in peace rather than in war. All in all, this clever revelation from the Marvel comics is a great way to write Leia out of the series. It ties the events of The Last Jedi into a fitting conclusion to Leia's character, who will not be in the ninth movie after the death of Carrie Fisher. While it is sad to consider that Leia will most likely lose her life in the pages of a comic book rather than on screen, it is still a fitting conclusion, and quite possibly the only option Lucasfilm had left.